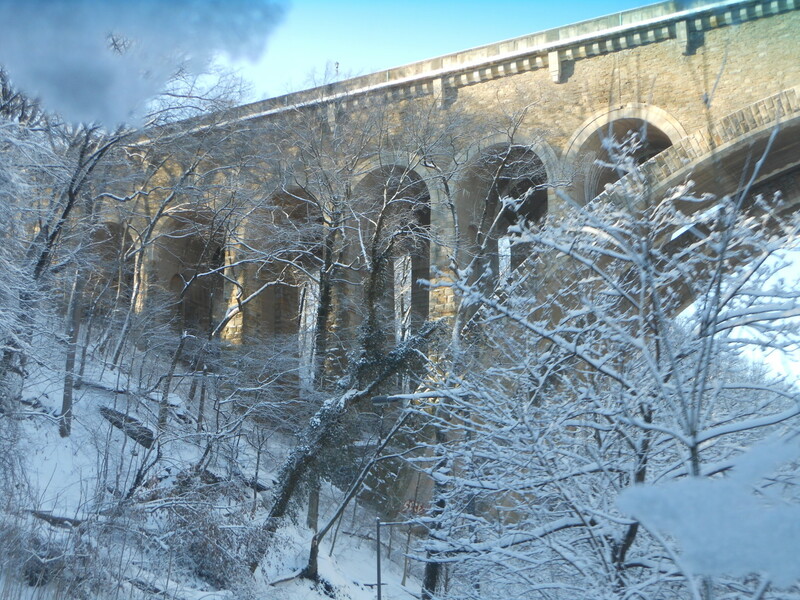 Rebecca Hoenig: Snow often obscures and softens much of the world, but winter could not cover the grandeur of this bridge. The hillside’s sharp diagonal clearly reveals the boundary where man and nature have converged. The organic twists and turns of the trees and branches are juxtaposed with the bridge’s stately architecture and clarity. This bridge is also evidence of the remarkable ways humans have molded natural objects, like stone, in order to expand into spaces beyond nature’s reach. Thank you for catching that typo – our apologies. It’s been updated. All the pictures are lovely, but this beauty is my favorite.